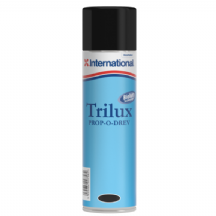 VC Prop-O-Drev Primer is specially formulated for use with Prop-O-Drev on outdrives, outboard legs, propellers and sterngear. Aerosol ideal for painting awkward shapes . It offers excellent adhesion to properly prepared metal and factory enamelled surfaces.